ANOTHER UPDATE: Looks like there is a repeat of Monday’s outage, with Comcast confirming that there it is looking into problems with its X1 service. 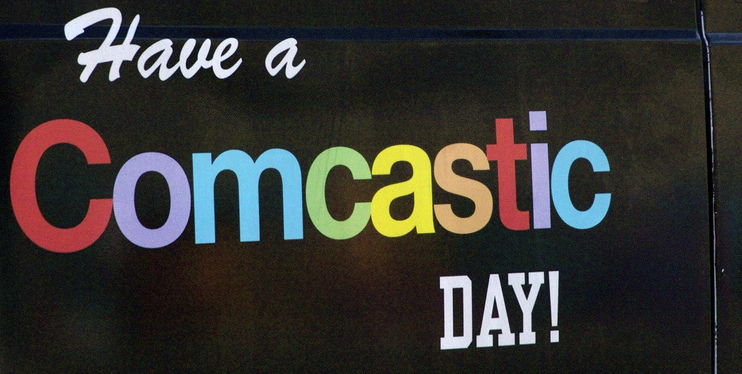 It seems like today is a bad day for Comcast subscribers who are fans of daytime TV, as the company appears to be in the midst of a large-scale television outage. According to the incredibly handy site DownDetector.com, Comcast Xfinity customers all over the nation, but especially concentrated in the northeast corridor between Boston and Washington, DC, are seeing outages. That tweet would seem to imply that the affected customers are all using Comcast’s newer, cloud-based, X1 platform. A Comcast representative posted about a set of errors affecting X1 customers back on Saturday, but it’s unclear if or how those are related to the current outage. Angry tweets calling out Comcast for failing to communicate clearly with customers about their #comcastoutage began overnight, and users began to take to sites like Reddit at about the same time. [Update, 2:15 p.m.] Service appears to be on the mend. The @ComcastCares account has tweeted that affected customers should be able to fix their service by resetting their X1 boxes, and many customers are seeing messages that their service is now restored. However, DownDetector still reports large hot spots out outages over several major cities as of 2:15 this afternoon.